Nothing beats the look of a shiny, well-maintained automobile. At Habberstad BMW of Bay Shore, we offer a lineup of auto detailing packages that promises to keep your vehicle looking good as new! As an added bonus, all of our detailing packages include a complimentary hand wash and vacuum. 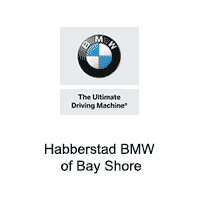 Thank you for choosing Habberstad BMW of Bay Shore for your auto detailing services. You can schedule an appointment online today, or, you can give us a call at (800) 481-1537 and our team will help set up your detailing appointment. All vinyl, plastic, and leather surfaces are cleaned and conditioned. All upholstery is shampooed. Exterior paint surfaces are machine polished and waxed. All rubber and plastic surfaces on the outside of the vehicle are dressed. Engine compartment is cleaned and dressed. All paint surfaces will be hand washed. Door jambs are cleaned and spray-waxed.